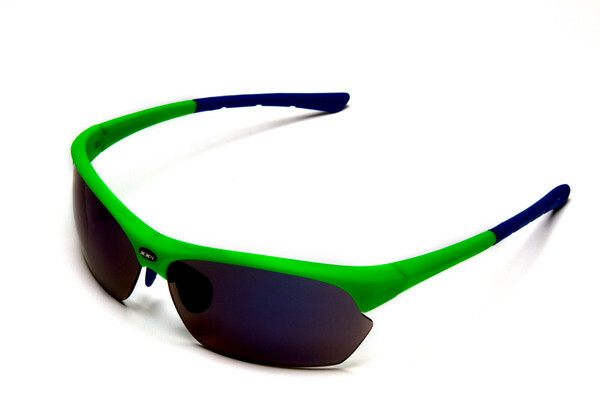 XX2i (http://www.xx2i.com) is a relatively newer entrant into the performance sunglasses market. From a price point perspective they come in at the lower end of the price range, but don’t let that fool you! Despite an entry level price, they bring a lot of value, most notably in the form of a no-questions-asked lifetime replacement warranty. No matter what happens, you can replace them for a $20 shipping and handling fee. For many, this alone is a reason to give these a shot, although I am not sure you will ever need it. Both versions appear to be well-built and durable (more detail on that below). Even more important than the peace of mind it provides, the warranty speaks to the confidence that XX2i has in its product and its dedication to providing great service and experience to its customers. XX2i offers two primary models, the full frame (USA) and half frame (France). Each frame variation also offers a number of customization options, including different color and lens variations. *Each also comes with a hard case, soft cloth bag, and lens wipe. I will now outline my experience with each version. DISCLAIMER: I am not affiliated with XX2i. However, they provided me with product for purposes of this review. This is XX2i’s full frame version. The USA is quite customizable, allowing you to swap out lenses as well as change/adjust the temples and nose pad. Each lens is vented in the upper outside portion of the frame to allow for breathability and prevent the lens from fogging up during activity. In testing these, I found the USA to perform respectively. As a personal preference, I generally prefer half rim models, but the USA didn’t bother me as much as I have come to expect with this frame style. My biggest concern with full frame glasses is my view being obstructed by the frame when my eyes tilt down to look at the ground in front of me. These were not as bad as others I have worn in the past. I also found that, visibility wise, they were great on the road where I generally don’t have to glance down as often. They did seem a tad on the heavier side, but not overly burdensome. They are very well built, although I didn’t have any major falls on the trails to fully put them to the test (nor did I plan on falling on purpose for the mere sake of putting them to the test). Still, they don’t seem cheap or poorly constructed whatsoever. 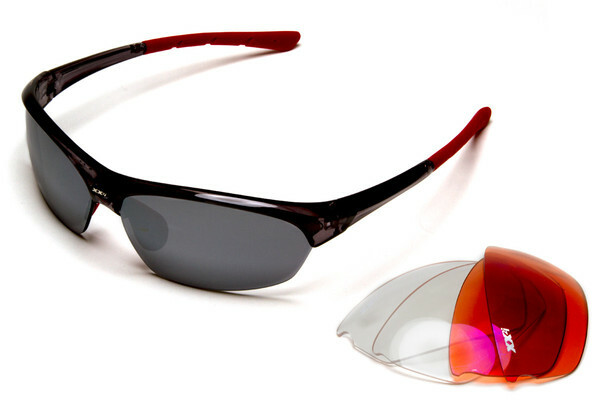 I used the non-polarized lens on this pair and they are a good quality lens. I had no issues with clarity or unevenness; in fact, the clarity was much better than I expected for a product in this price point. On the comfort side is where I had the most difficulty with the USA. After a relatively short period of time (within an hour), they began to bother me behind the ears causing a bit of an annoying soreness. Of course, this is very much dependent on a person’s head shape, so it could be different for others. I did feel that they did interfere with my hat a bit, which could have caused some of the discomfort. I run with a hat regularly, so this is how I preferred to test them. To be honest, after testing these out, I found myself wearing these more while driving and walking around instead of running. 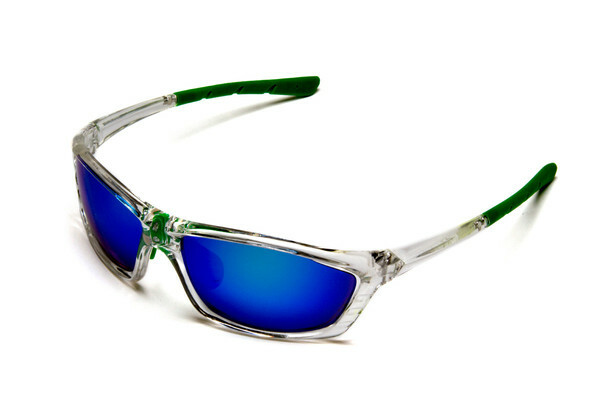 I really like the look and could wear them as an everyday pair of sunglasses. Secure fit, they do not bounce on my face and at no time did they feel like they were going to fly off of my face. The nose pad and temples seem to do a great job at holding them in place. The fit was a little tight for me behind the ears, causing a bit of discomfort after only a relatively short period of time (an hour or so). As previously mentioned, this could simply be how they fit based on the relative shape of my head and could very well be a personal problem. I would like to see the shape of the frames turn down a bit at the end as to not interfere with a hat/visor. A bit heavy, versus others that I have worn, but not significantly so. This is XX2i’s half frame version. The France, like its counterpart, is also quite customizable. It too allows you to swap out lenses as well as change/adjust the temples and nose pad. Each lens is vented in the upper outside portion of the frame to allow for breathability and prevent the lens from fogging up during activity. I found the half-frame France model to be much more to my liking, particularly on the trails. Their frames seem a bit less sturdy, but the result of this is a much lighter frame. Unlike the USA, I had no comfort issues with this frame and almost forgot I had them on, even after 15 miles. I did one particular long run in the rain with these and was rather surprised with how clear my view remained, even with the rain. The water stayed off the lens and there was absolutely zero fogging. I really cannot find a significant issue with these to be honest. Versus some of the things I called out with the USA, they seemed to fit better while wearing a hat and were pretty damn comfortable. I never had the need to re-adjust them during runs; they stayed in place the whole time. From a pure fashion perspective, I liked the USA better, but for performance, the France are a much better option for me. Within the XX2i product line, I would likely see these as my go to for running or other high-paced activities. While I had no incidents with the France 2 to know for sure, they don’t “feel” as durable as the USA version. Prior to the review, I hadn’t tried XX2i sunglasses and didn’t really know what to expect. That being said, I was pleasantly surprised. While they don’t have a lot of frame options, the ones they do have are nice looking with a quality feel to them. Beyond the frames, they have a wide array of customization options with the lens, nose pads, and temples, which helps to expand your options a bit. Combine their products with their warranty program and you will be hard pressed to find more bang for your buck. As with any sunglasses, the fit can be pretty unique since we all are shaped differently, but these are definitely worth a try, especially for those looking for something that is dependable with good quality, but without the typical price tag. The warranty is top notch! The value is stellar. A quality product with a great warranty, all at an entry level price. The selection is limited to two frames, which doesn’t leave many options if neither of these is a good fit for you. I have to imagine that as the brand grows more frames will be made available. No photochromic lens options, which I find to be a necessity for trail running…in particular where my runs often switch from open to covered canopy. For a chance to win, please click here: XX2i France Performance Sunglasses Giveaway. One winner will be chosen at random and notified after the entry period ends on October 5, 2014. In addition, everyone that enters will receive a 50% off code from XX2i. It is a win-win!